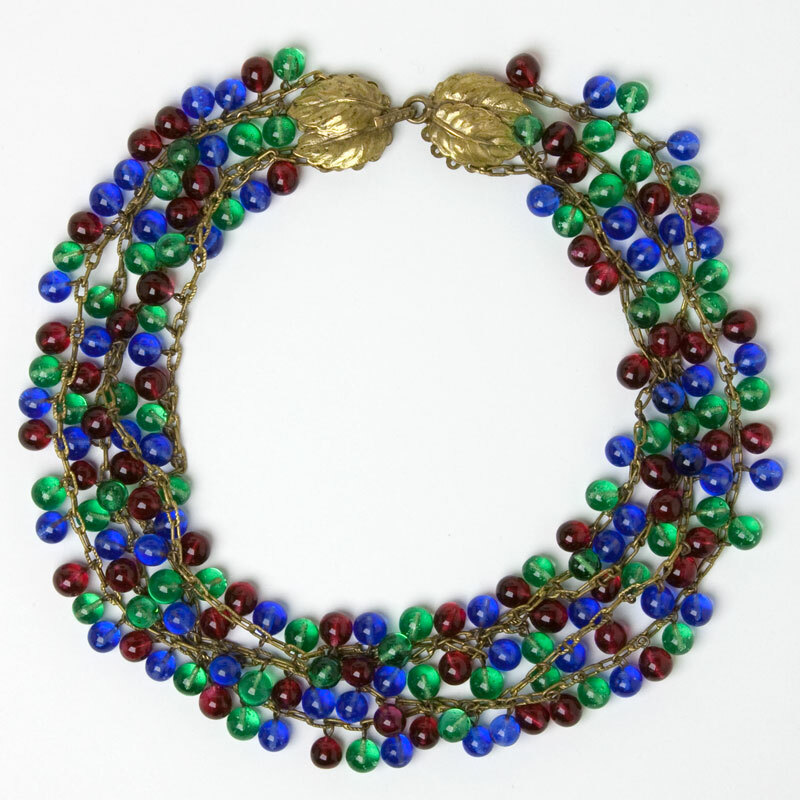 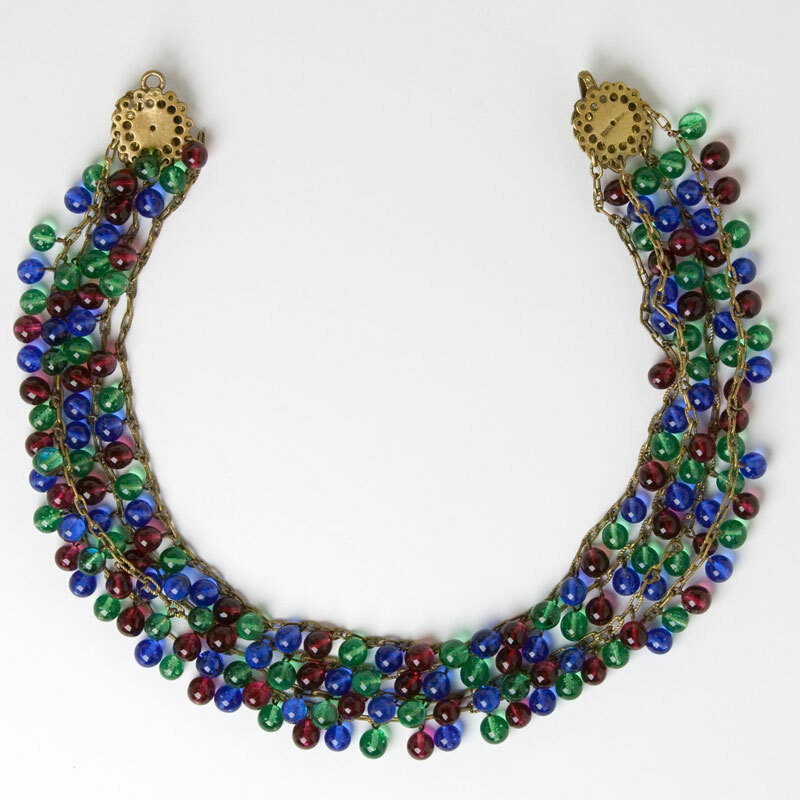 This richly-colored French Art Deco choker features ruby, emerald and sapphire glass beads that dangle from brass links. 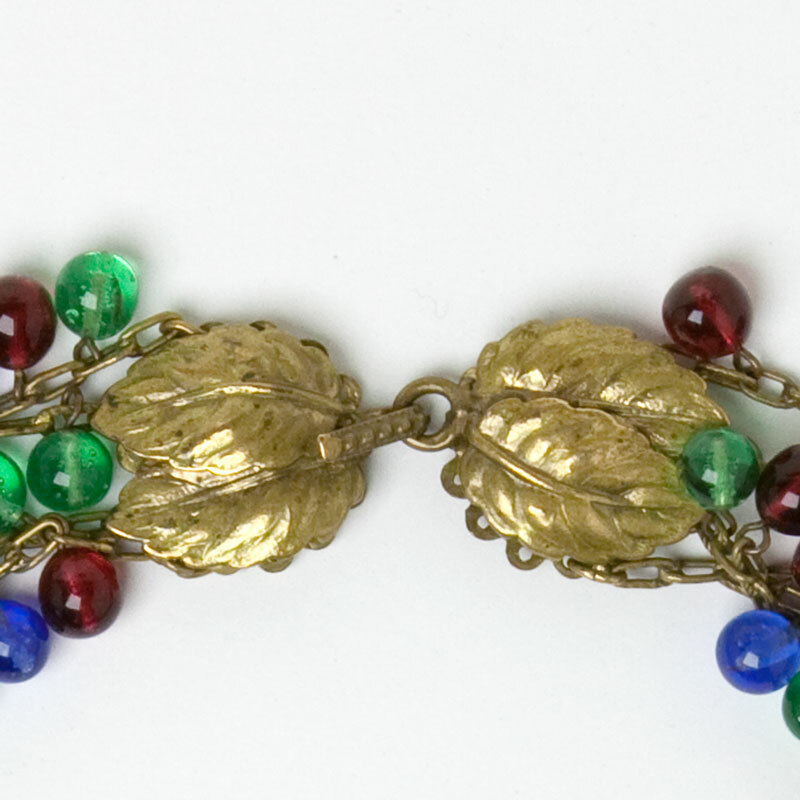 They are attached to embossed brass leaves that form the clasp, making this piece a true work of art. 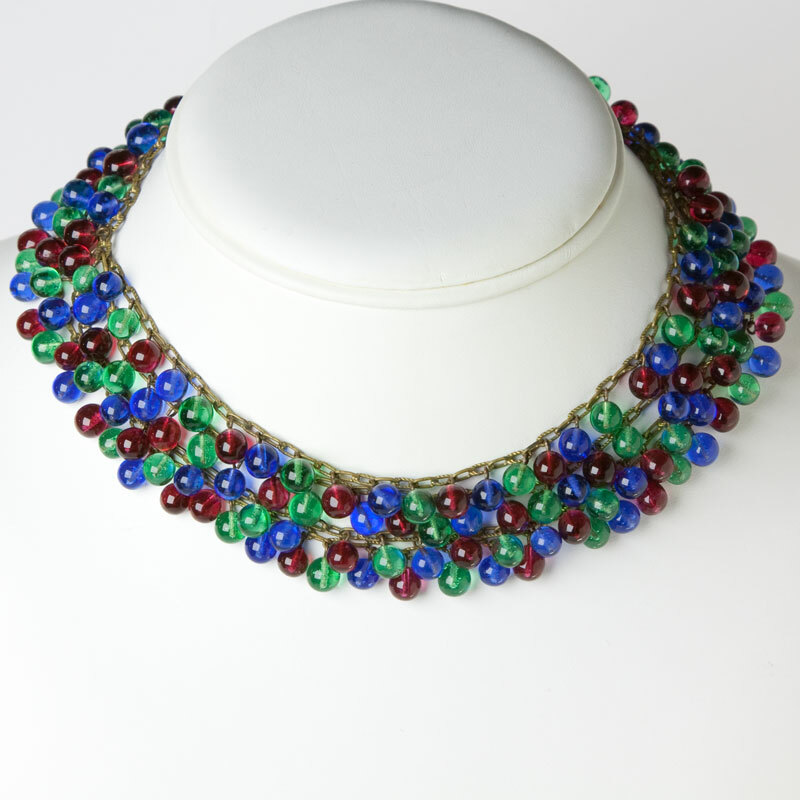 This necklace was made for an exceptionally slim neck, so please note the necklace length (13 1/2″) and check your neck size before purchasing this piece. 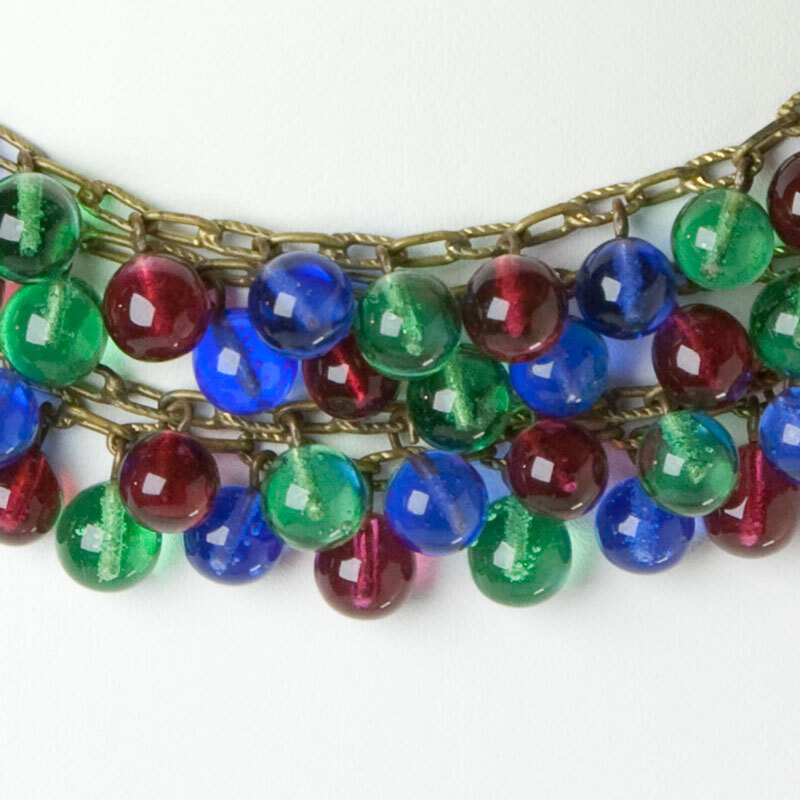 This lovely necklace was part of my personal collection.